MFR has especially developed a nail polish sampling for today's women, so that they may choose correctly the color that best suits them. 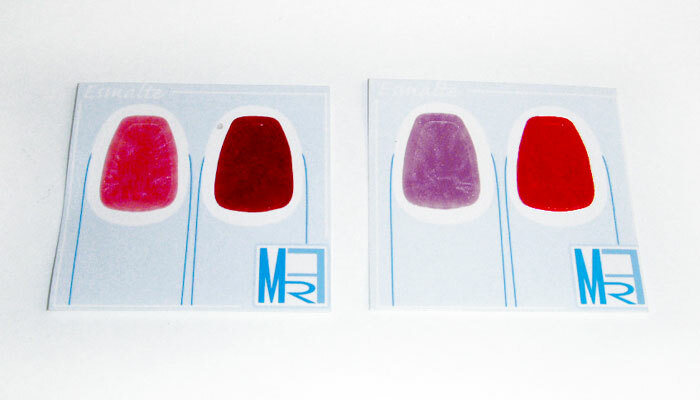 On a label with nail-shaped stickers, we provide a wide variety of nail polish options, with the exact color of the product. In this way, consumers may observe and choose the appropriate color of their nails.